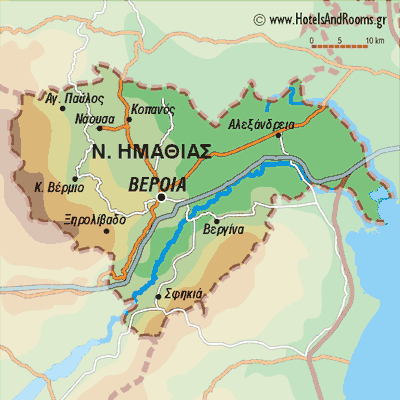 This region of Vermio where Naoussa stands today and where Herodotus sets the magnificent “Gardens of Midas” was conquered since ancient years by Bryges, who emigrated from Asia to Europe even before the Trojan War. According to Thucydides and Stravon, Bryges were persecuted by Caranus, founder of the Macedonian State, while at a later stage other Macedonean races came and got mixed with Bryg-Pelasgian ones left there and so created the population we meet in the historic years. The name of this city, according to more updated opinion of archeologists was Mieza. 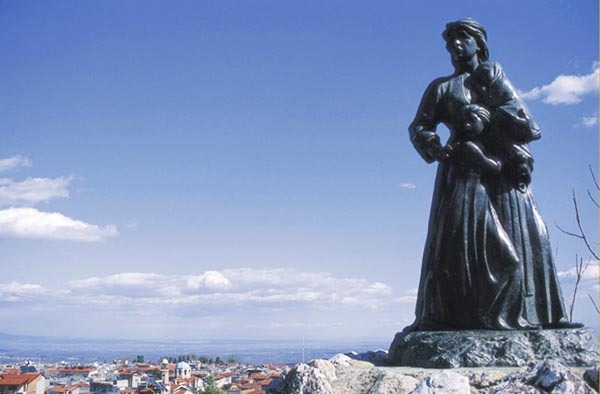 In the local legends, the three children of Veris, the mythic king of the area, Veria, Mieza (his daughters) gave their names to the two most important cities of Imathia, while his son, Olganos, was transformed to a river god and gave his name to River Arapitsa. 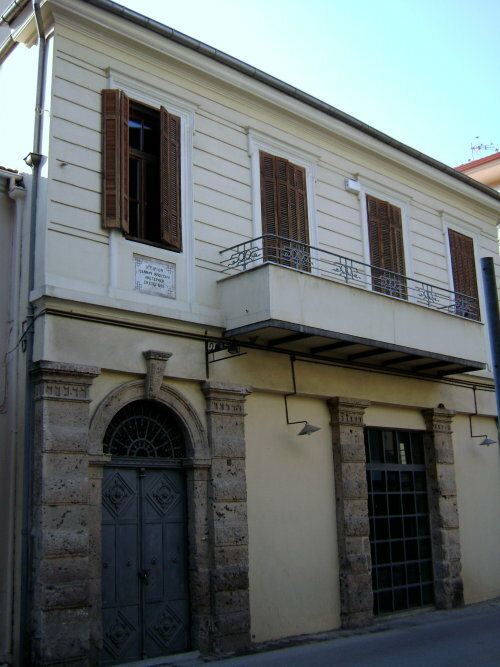 A place of global interest is the remains of the Aristotle School, a little way down today’s Naoussa, in Isvoria. 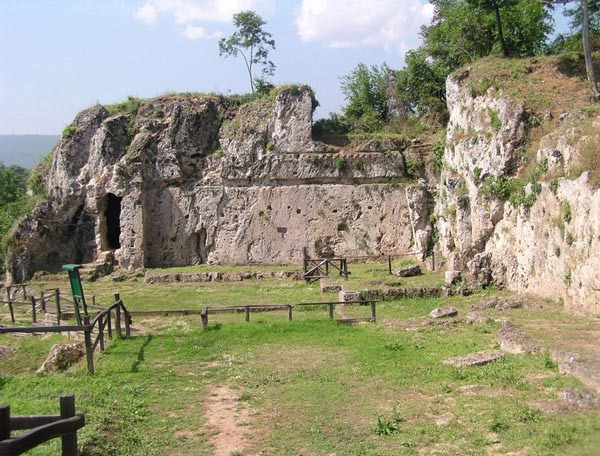 It is the place of running waters and shaded caves which ancient writers mention, where the great philosopher of antiquity taught the greatness of classical Greek mentality and the ideals of Plato’s philosophy to the son of Philip B, King of Macedonia, Alexander. 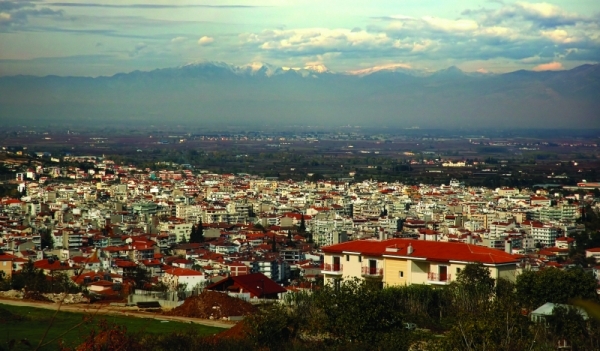 The first Macedonian city centre is in the south of Aliakmonas, at the heart of that area which was the “Macedonian Land” according to Herodotus. The river, being a natural fort, protected the city from the northern dangers while securing the immediate communication with the sea which was much nearer then. The first settlement was in the plain within the third millennium B.C. At the end of the Bronze Age, the settlement being in accordance with the new conditions moved towards the foot of the mountain. Villages and graveyards scattered in the plain and mainly on the hills certify the dense habitation and use of the area which would go on existing for the centuries to follow. General military and political changes would result in shifting the commandment centre towards the sea, in Pella, during the first half of the 4th century B.C. However, Aeges remain the traditional centre where crucial sacred rituals and famous celebrations take place, the site for the kings to be buried. Over the years of Philip B (359-336 B.C.) the old sacred capital knows its old glory once again. 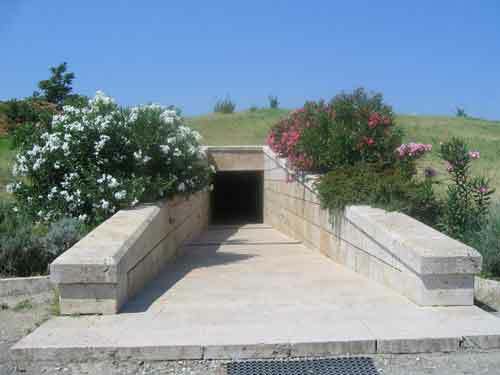 Vergina stands near the ancient city of Aeges, once the capital of the ancient Macedonian kingdom where the dynasty of Argeades ruled since 650 B.C. Archeologists had shown interest in the hills surrounding Vergina even since 1850 suspecting that grave monuments could be lying there. Excavations started in 1861 under the supervision of the French archeologist Leon Heuzey. 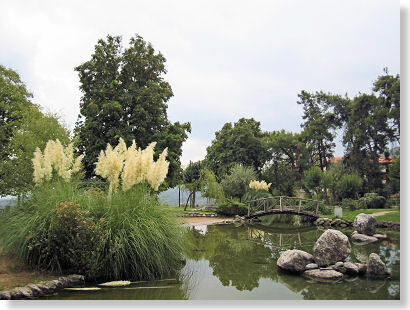 In 1937 The Aristotle University of Thessalonica continued the excavations discovering further departments of the palace but once again the excavations stopped because of the Greek-Italian War in 1940. After the war they started all over again in the period 1950-1960 and the rest palace came to light. The Greek archeologist Manoles Andronikos was convinced that a small hill called “the Big Toumba” hid the graves of the Macedonian Kings. In 1977, Andronikos started an excavation of six weeks in Toumba and discovered four buried grave rooms which remained intact by tomb looters. Three more were found in 1980. The excavations continued also in the period of 1980-1990. Andronikos supported that the findings were the burial sites of Macedonian Kings, including the grave of Philip B, father of Alexander the Great, of one of His wives and that of Alexander the Great’s son, Alexander D the Macedonian. 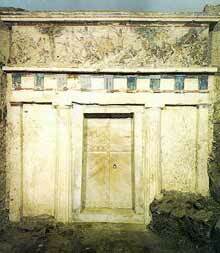 This has been confirmed by many archeologists and the Greek government. 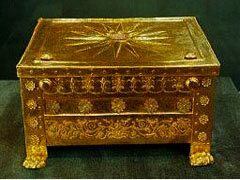 The gold larnaka on which Andronikos identified the remains of Philip’s B body, has the Sun of Vergina on top which was adopted as symbol of Greek Macedonia. The local food is Fassoulotavas, meaning baked beans. Tavas means baking pan in Turkish. Traditional dishes of the area are revani and loukoumades, served with kaimaki ice-cream and are the dessert of every meal. 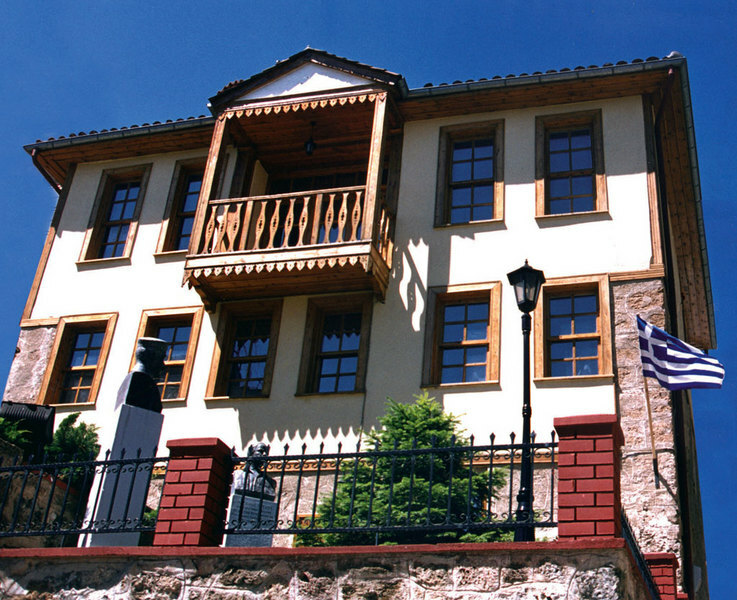 Naoussa is a beautiful city built on the slopes of the mount Vermio with traditional wineries and once industrial activity in fabrics (blankets etc.). 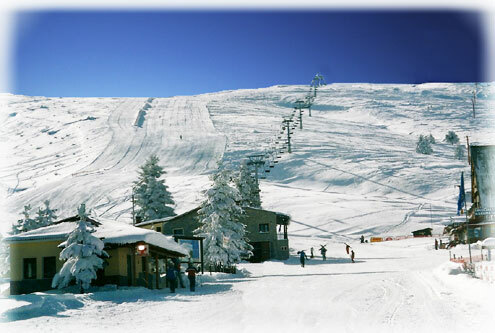 Additionally, there are two snow skating centers in operation, that of Seli and of 5 Pegadia. Edessa is another town near Naoussa (30 km away) where one can enjoy the waterfalls, the dam of Aliakmonas and the beautiful woods.